A bribe agreement with BASF is busted. Corruption is organized better and better. Long since corruption is well organized in Germany, in ever new niches offend the perpetrators and there are often silent 100.te of employees in the companies know this, however. Whether it is called as the sales tax cartel cartel of Deutsche Bank (1) or the coffee roasters (2) and now with BASF network, it’s all about bribes or corruption as a generic term. The evidence indicates that the engineer, and four other staff member to bribe 2000-2009 contracts to bribe in the amount of one million euros to a Hessian companies have contracted with 500 employees. Even against the head of the company and employees is determined. Alone in 2009, the company has received in Singapore Sun orders worth 27 million euros. „BASF has terminated without notice in the interim, all contracts with the company and Hessian will examine all contracts of the last few years.“ (3) A logical step because the BASF will often take the company nothing. It will be interesting if the prosecutor does his charge, how great the damage was total. One thing we know already and this is true not only for BASF, corruption is now almost always held in the cartel, or network, there are many involved and very many people know this and are silent. Silence probably out of fear, for he who turns away with corruption cases to the authorities or public, can ever find a new job and a good treatment center for victims of bullying. And our politicians? What are they doing against the organized form of corruption by all the „gangs“? You look away, they play down or they just sit and hope that the public is distracted by other issues. Why are we in Germany still no Ombudsman against corruption with action and control power to investigators about how prosecutors? A question to which they get no answer, why? Once again, corruption allegations against the Ferrostaal AG. Bribes a German export success? Without any arms deal bribe? Mrs. Merkel and her partner Guido Westerwelle, yes, the story of the Bravo to Johnny Depp, Suzi Quatro and that kisses do not lead to pregnancy (like), so our only clue to their success stories of the export front. But it is shocking when you know that Germany is the number three arms exporter in the world, which really is not a crime. But if you look alone to the suspicions against Ferrostaal, you have the feeling anywhere, this place 3 has been reached only with bribes. Although the public mind with the interview of our Foreign Minister, „never before in the past 54 years, a German politician has given the magazine an interview“ * we do have a corruption problem of vast scale in Germany. Certainly Mr. Westerwelle is not exactly the ideal politician for a clean vest, even though he was in his youth, victims of bullying, „of the current Bravo admits Guido Westerwelle (FDP. …. who mobbed him in school because of his homosexuality“ (*). But to fight a clean Exp Who said anything today, „No, thanks“? offer just the FDP must ortwirtschaft more than lip service. Ferrostaal AG is a German service industry, the term services as well the ticket to ride on corruption and bribery has seen. There appear again on new charges against the steel company was founded in 1920 in Holland, that from its headquarters in Essen in 1926 and then built up and until today there home is. So deep swamp of corruption in the country. In the decades the company has gone through several phases of the change in equity investments and areas of operation in the meantime, we offer a service and include contacts in the world, even with the background, secure transactions by bribes. Ferrostaal was the first suspected their own business and power plants and submarines per have generated bribes to (2), are now more and more allegations come to light. „In the files of the investigators stated that a Portuguese Honorary Consul in the initiation of the U-boat business was to help. The diplomat had part-time job in the summer of 2002, even a direct conversation between a Ferrostaal board and the former Portuguese Prime Minister José Manuel Barroso taught. Overall, the Honorary Consul for its „targeted assistance“ ultimately good 1.6 million euros was collected. (4) and it goes without saying that they were 1.6 million tax-free, or what they thought with their Papplohnsteuerkarte Made in Germany? Now, however, are also recent evidence that Ferrostaal has his „lubricated contacts“ is offered up to political authorities and other companies and therefore has made corruption adviser to the content of transactions. The policy is silent as ever on the allegations and considers it not necessary to adopt a clear anti-corruption law, nor an SEC set up the American model. 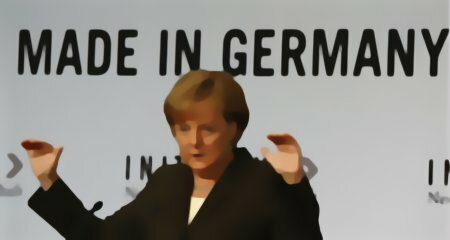 Obviously we see otherwise, the political success story of the „export champion Germany“ in danger, even if the suspect is more and more reinforced that we both „corruption-as well as export world champion“ are offering bribes and shops all over the world as a service performance. Motto: Those who are not stupid smears and sinks. With the Internet, unfortunately, our perpetrators have received in the field of corruption, fraud and Datenklauerei one Instruemnt that they can act globally and nationally. Experts writing about the Internet and a boom effect for corruption in Germany. „German companies are suffering, according to a study by a sharp increase in economic crime. In the past three years has been more than one in three companies (37 percent) victims of criminals. Three years ago, it was only every fourth company (26 percent). As a result of a representative survey of 300 medium and large enterprises by Emnid on behalf of the business consultancy firm KPMG. One should not overlook the fact that in Germany we have a legislation against the crime of corruption, fraud and data theft, which resembles a Swiss cheese. And the worst thing is that the politicians of the Federal President Köhler, about olle Merkel, the loud Guido of the FDP and the night watchman and Bundestag President Lemmert simply look the other way and celebrate instead of their authorities parties. Die OECD-Konvention gegen Bestechung und Korruption. Offensichtlich ist Korruption und Bestechung eine Seuche die so wohl reiche wie arme Länder betrifft und die Täter haben auch alle möglichen Hautfarben und gehören zu verschieden Religionen. Bestechung ist also ein globales Problem, nur mann kann sich dagegen wehren und das sehen dann auch die Täter. undermining the institutions and values of democracy, ethical values and justice and jeopardizing sustainable development and the rule of law, about the seriousness of problems and threats posed by corruption.“ Und so gibt es insgesamt sechs Regeln, von denen wohl Deutschland fast keine beachtet. Transparency International, „ TI zufolge setzen nur Deutschland, Norwegen, die Schweiz und die USA das Korruptionsverbot aktiv um“, was einem angesichts der Korruptionsfälle und mangelnden Gesetze befremdlich erscheint. Was die wohl für Lesebrillen tragen müssen bei TI? Nimmt man alleine die Fälle von Zumwinkel, Siemens, Mannesmann usw, hinzu, dann stllen sich einem doch viele Fragen. Die erste wäre, was meint man mit Koruption in Deutschland? Eine Frage die man sich zum Beispiel am 09.12. jedes Jahr stellen kann, denn da ist der „internationale Anti-Korruptions-Tag“.